2013 - A 10 team league known as the North Dakota Class A American Legion Baseball League returned. It consisted of teams from Bismarck, Dickinson, Fargo, Grand Forks, Jamestown, Mandan, Minot, Wahpeton, West Fargo, and Williston. An 18 game league schedule consisting of 8 or 10 home (4 or 5 double headers) and 8 or 10 away (4 or 5 double headers) league games was played. All 10 teams qualified for the double-elimination State Tournament. The final statewide league standings were used to seed the teams at the state tournament. 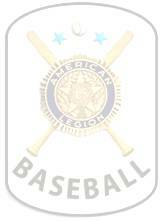 2012 - A 9 team league known as the North Dakota Class A American Legion Baseball League existed. It consisted of teams from Bismarck, Dickinson, Fargo, Grand Forks, Jamestown, Mandan, Minot, West Fargo, and Williston. A 16-game league schedule was played. All 9 teams qualified for the double-elimination State Tournament. The final statewide league standings were used to seed the teams at the state tournament. 2011 - A 10 team league known as the North Dakota Class A American Legion Baseball League remained. It consisted of teams from Bismarck, Devils Lake, Dickinson, Fargo, Grand Forks, Jamestown, Mandan, Minot, West Fargo, and Williston. An 18 game league schedule consisting of 8 or 10 home (4 or 5 double headers) and 8 or 10 away (4 or 5 double headers) league games was played. All 10 teams qualified for the double-elimination State Tournament. The final statewide league standings were used to seed the teams at the state tournament. 2010 - The North Dakota Department Athletic Committee allowed Wahpeton to drop out of the Class A ranks to compete at the Class B level. This move left 10 teams at the Class A level. A 10 team league known as the North Dakota Class A American Legion Baseball League remained. It consisted of teams from Bismarck, Devils Lake, Dickinson, Fargo, Grand Forks, Jamestown, Mandan, Minot, West Fargo, and Williston. An 18 game league schedule consisting of 8 or 10 home (4 or 5 double headers) and 8 or 10 away (4 or 5 double headers) league games was played. The East and West Divisional Tournaments returned, seeds for the tournaments were based on the statewide standings (i.e. Bismarck finished #1 in the standings and was the #1 seed in the west, West Fargo finished #2 in the statewide standings but was the #1 seed in the east). The top four teams from the double-elimination tournaments advanced to the State Tournament in Bismarck. 2008 - The North Dakota Department Athletic Committee allowed Valley City to drop out of the Class A ranks to compete at the Class B level. This move left 11 teams at the Class A level with an unbalanced East & West Division. The “Knudson Plan” was presented to the Department Athletic Committee for approval on a 2 year trial basis (2008 and 2009). The Knudson Plan proposes the formation of an 11 team league known as the North Dakota Class A American Legion Baseball League. It will consist of teams from Bismarck, Devils Lake, Dickinson, Fargo, Grand Forks, Jamestown, Mandan, Minot, Wahpeton, West Fargo, and Williston. It proposes a 20 game league schedule consisting of 10 home (5 double headers) and 10 away (five double headers) league games. The Knudson Plan still provides for an eight team State Tournament. The top five teams in the regular season automatically qualify for the state tournament. A round-robin post-season tournament will determine the one through five seeds for the state tournament. The bottom six team will play a double elimination format tournament for the final three spots (six through eight seeds) in the state tournament. These two tournaments will effectively replace the East and West Divisional Tournaments in post season play. 2003 Championship Game - Bismarck defeated Minot 6-3 in 18 innings. 1977 - Class AA Western Divisional Tournament - Rain shortened tournament, no championship game played. Minot was awarded the #1 seed for the State Tournament by a 5-2 victory over Williston earlier in the tournament. 1956 - Bismarck won the Western Division Class A tournament by the flip of a coin. Bismarck had defeated Minot in the battle of the unbeatens, the two teams were to meet again for the championship game. The game was rained out, however, and Bismarck won the toss to become the first-place team.